This Zelda inspired adventure is alive! It's alive! 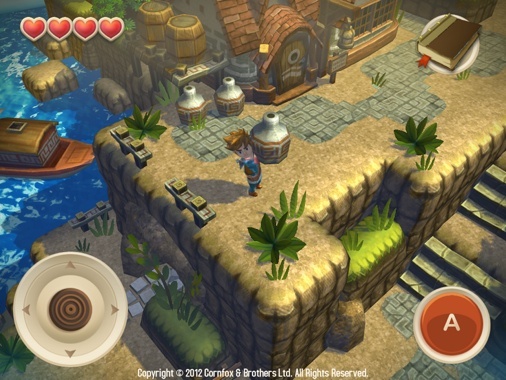 For a while, we assumed the worst for Oceanhorn: Monster of the Uncharted Seas. Its developer, Cornfox & Bros., hadn't updated its blog in months, leaving us to wonder if this Zelda-style adventure was in limbo. Thankfully, we're proud to report it's exactly the opposite. The game still lives. In fact, the creators posted new screens and details to the blog just a few days ago. Making a game as an artist is both fun and rewarding. You get to see a world that was in your head growing richer and richer everyday and after some time you get past the point where your world is no longer collection of symbols (Here is a tree, ok it's a forest. Stone walls, that must mean it's a cave.) but an actual place inside a game. Over 100 objects are modeled so far, along with 3D maptiles, enemies and characters. We hope you enjoy these screenshots! 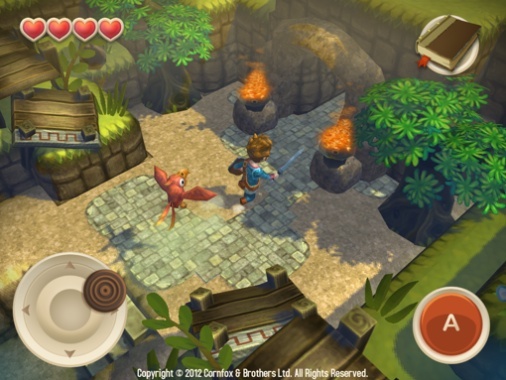 When will we finally see Oceanhorn on the App Store? Too early to say, but hey, at least the game exists and looks stunning. More news soon, we hope.